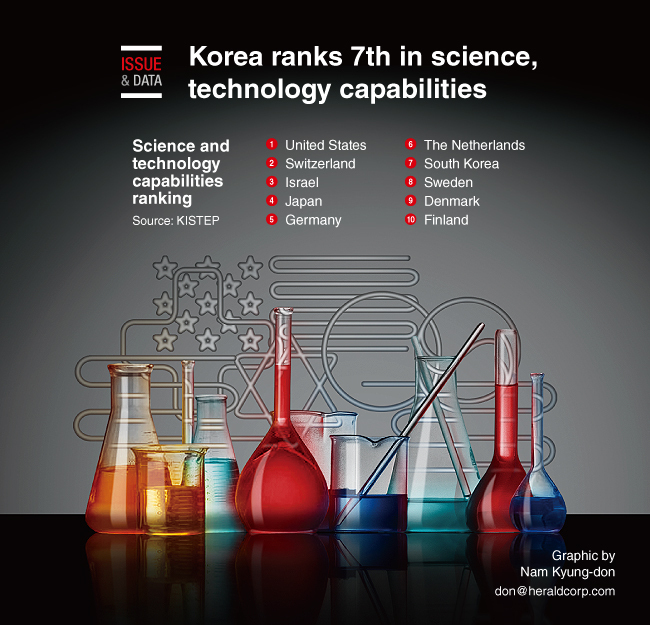 South Korea’s science and technology capabilities ranked seventh last year among the 34 member states of the Organization for Economic Cooperation and Development, according to a state-run think tank. The Korea Institute of S&T Evaluation and Planning said the evaluation was based on five categories: research environment; support from both public and private sectors; the quality of work carried out by scientists and engineers; the results of research; and overall network capabilities. The US came in first in 2017, followed by Switzerland, Israel and Japan, according to the institute.